It’s always exciting when new colors come front-and-center in the New Year. The Colors for 2014 did not disappoint, with offerings for just about every style and designer – from hot Radiant Orchid to soft Breath of Fresh Air. 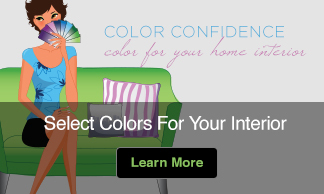 Here are my takes on ways to relate and incorporate 5 of the ‘It Colors’ for 2014. 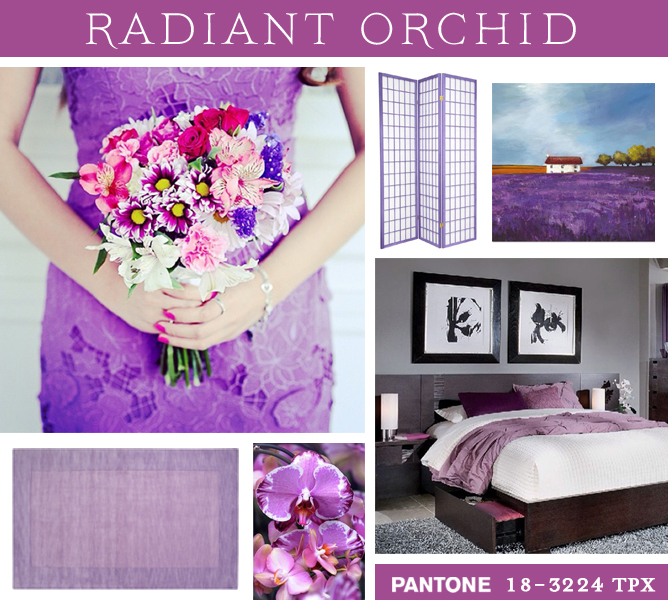 Pantone announced Radiant Orchid 18-3224 as its top color pick for 2014. “An invitation to innovation, Radiant Orchid encourages expanded creativity and originality, which is increasingly valued in today’s society,” stated Leatrice Eiseman, Executive Director of the Pantone Color Institute®. This is an eye-catching hue that works well for accent pieces and accessories. Radiant Orchid can liven up gray, beige and taupe without overpowering. My favorite use of this color is to mix it up with yellow-green, turquoise, teal and even yellow-orange. This keeps the hue vibrant and youthful. 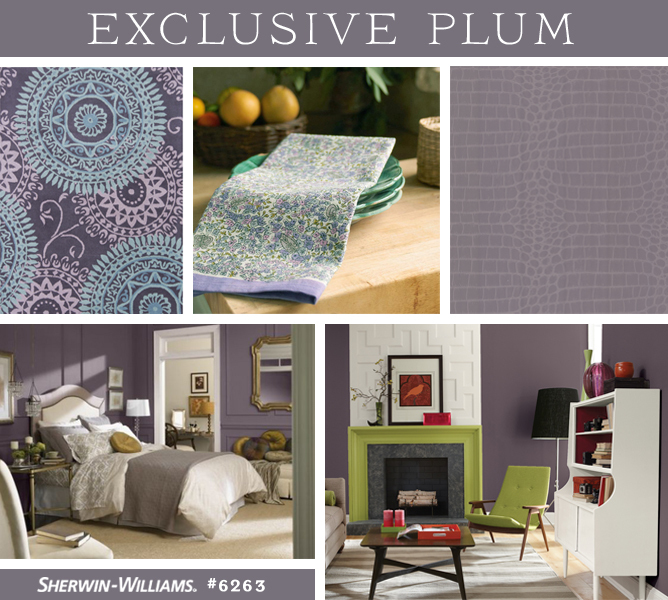 Another top pick from the purple family is Sherwin-Williams Color of the Year 2014. Exclusive Plum (SW 6263) is a sophisticated violet that balances cool blue and feisty red, with a splash of gray. “This dusky, filtered violet is refined without being stuffy, elegant yet easy, and layered with romantic potential,” says Jackie Jordan, Sherwin-Williams director of color marketing. I like the versatility of this color. It can become masculine paired with copper, tan and well-worn leather. Sophisticated when layered with gold, gray and white or even contemporary against white subway tile or with chrome fixtures. Again, like with Radiant Orchid, my favorite scheme for is to use Exclusive Plum includes pops of magenta, chartreuse or teal. 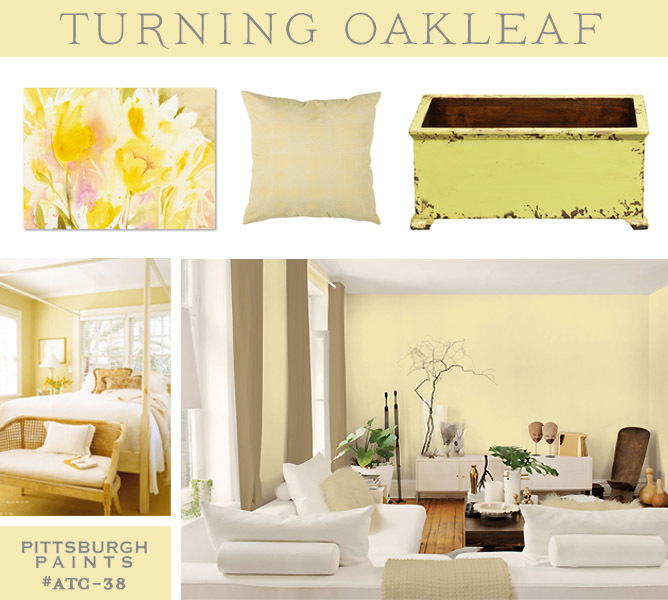 The PPG Pittsburgh Paints® brand named Turning Oakleaf a soft, but energetic buttercream yellow, as its 2014 Color of the Year. “Homeowners have moved away from the muted hues influenced by economic factors in recent years. Turning Oakleaf, which is soft enough to be a neutral but bright enough to generate a sunshine-like energy, represents a trend toward warmth in harmonious living, deep appreciation for the surrounding natural elements and a thorough understanding of enlightened philosophies,” said Dee Schlotter, Brand Manager, The Voice of Color program. As a complement to purple, Turning Oakleaf will infuse a room with optimistic energy. It is equally lovely paired with calming and natural greens, warm grays or sandy brown. 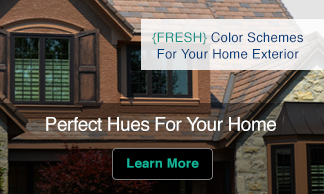 Rejuvenate bright blue, red-orange or even black and white with with the fresh look of Turning Oakleaf. 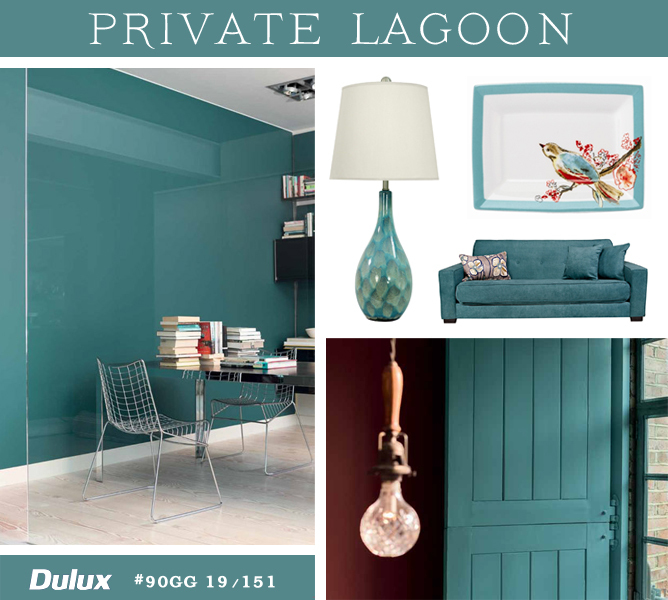 The top trend color 2014 selected by Dulux, Private Lagoon, combines the natural balance of green with the tranquility of blue. The toned down teal has a gentle character, which is deeper and more sophisticated than turquoise. There is a subdued richness to teal that works best when combined with neutral shades and wood tones. Partner with contrasting hues such as coral, ochre yellow, or warm pinkish tones. Create a tone-on-tone scheme by layering teal with indigo, denim, mint, duck egg or emerald. For a neutral combination choose any muted shade that looks as if it could have come straight out of nature. Rich, warm, sophisticated, energetic and fun are all represented in on-trend color choices for 2014. This palette can really appeal to any style and can be adapted easily as the seasons or your tastes change. I am very pleased with these 5 selections and excited to incorporate them in the year to come. 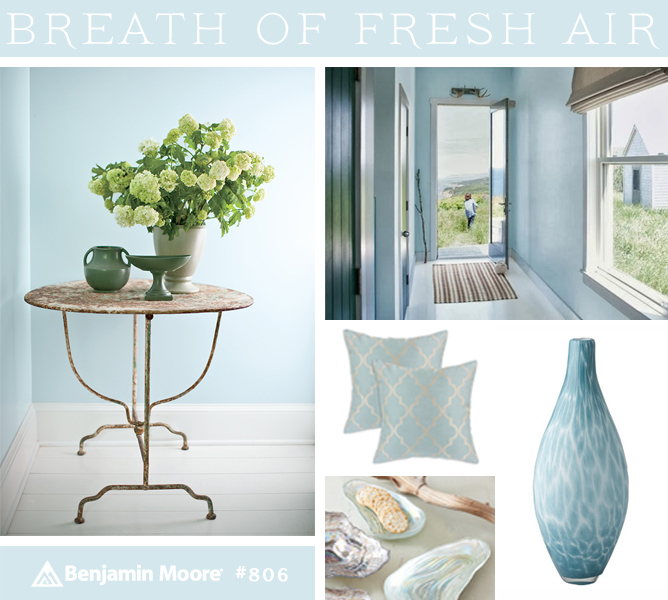 Benjamin Moore’s ‘It Color’ for 2014 is Breath of Fresh Air. A gentle yet, whispery blue that is being touted as a “new” neutral. Gentle and soft, this color encourages comfort and simplicity. Couple this blue with warm brown tones for contrast or highlight it against silvers or white for a more dramatic feel. Instantly brightening a space this hue has the power to make if feel as if the lights are being turned on in a darker or smaller space. However you style it, 2014 will be chock full of fun color and softer choices. These 5 trend colors will offer homes and closets a fresh and modern edge. Creating new neutral options and pops of color, I am very excited to start planning my New Year’s fresh looks. What light turquoise color would you recommend to go with “Turning Oakleaf” by Pittsburgh? It is a small bedroom. Thanks!